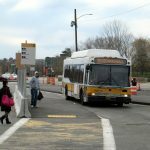 Last week Commonwealth Magazine reported that the MBTA’s Director of Parking, David Friend, has stepped down from his position, effective December 1. Before submitting his resignation, Friend distributed a lengthy statement which detailed the ongoing issues that the agency is having with its parking contractor, Republic Parking System, and calling out MBTA management for its refusal to recognize and correct the problems. 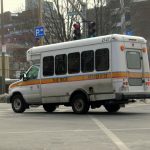 According to the statement, Friend resigned involuntarily from his position due to the T’s Director of Revenue, Evan Rowe, saying that it was in their mutual interest as well as the best interest of the MBTA for him to do so. In his statement, Friend gives the contractor an “F+” saying that since they took over parking operations they have been unable to live up to the minimal standards established by MBTA staff. He also claims that Rowe is in part to blame, since he spearheaded the contract with Republic, and has been slow to call out the company on their shortcomings. Friend says those shortcomings include staffing issues, poor cost controls, inefficient use of equipment and a failure to detail how they intend to fulfill their contractual obligations to the MBTA.